There are only few brands among yacht manufacturers who have an image such as the Swan sailboats. Starting at twelve meters in lenght, they weave deep into the world of superyachts with vessels over thirty meteres. 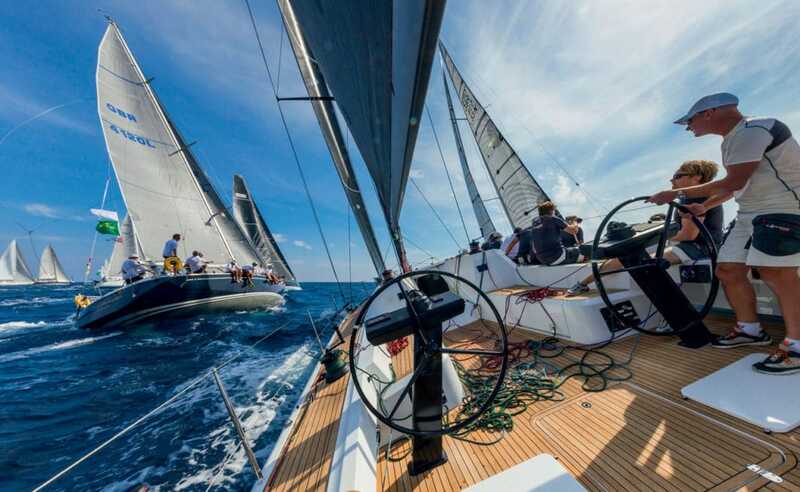 At the Swan Cup regatta in Porto Cervo, in September last year, 112 sailboats from 20 countries, all sizes and models, came to honor the brand who celebrated a beautiful jubilee – fifty years of existence. Oy Nautor AB was founded in 1966 by Pekka Koskenkyla in Pietarsaari, Finland. With hundreds of years of Finnish boat building tradition, Pekka was inspired by a vision to start producing high-quality and high performance sailing yachts, made for the those, like him, who had the passion for cruising and racing in full contact with the water and nature. This was despite the challenging environment around the small town of Pietarsaari, where temperatures can fall to -30 C in the depths of winter and the sea can be frozen for up to five months of the year. Pekka, educated in the USA, had the intuition and the ability to convince Sparkman & Stephens – New York, one of the most acclaimed yacht designers at that time, to design his first sailing yacht in fibreglass trimmed with wood. No one before had built a vessel over 10 metres in length with this material, which was still in its infancy for shipbuilding. He had a vision that this material would dominate the production of vessels in the years to come. The first Swan yacht produced was the Swan 36, a yacht that introduced, in addition to the fibreglass used for the hull, a significant number of innovations such as the rudder positioned fully aft, the skeg separated from the fin keel, the centre of the hull shifted back with the application of a bustle, and the swelling of the keel aft thus providing great steering stability. It was a vessel that marked the beginning of one of the most prestigious boat yards in the world. These yachts have come to embody the ultimate luxury and quality in the sailing industry with full respect for the founder’s motto – ‘the very best’. In the spring of 1968, a Swan 36 was delivered to British sailor, Dave Johnson, who skippered the yacht with remarkable success in regattas around the British Isles, and in particular at Cowes. These racing achievements generated such a positive feedback that Nautor’s Swan rapidly established its reputation as the foremost manufacturer of high performance racing yachts. This led to the development of the new Swan 37 and Swan 43, with the latter winning the Admiral’s Cup in 1969. Swan became the preferred choice of the most discerning of sailors such as Herbert von Karajan with his Swan 43 – ‘Helisara II’. Sparkman & Stephens were the designers of approximately the first thousand Swan yachts sold by the Yard. These included the memorable and iconic Swan 38 and Swan 47 which, together with the other models, have positioned Swan as synonymous with performance coupled with quality and elegance, enduring reliability, and timeless lines. The unmistakable ‘Arrow’ indented in the hull of every Swan, has eliminated the need to display the brand name. Nautor’s Swan continued to fulfil expectations entering the market for larger seaworthy, elegant and timeless yachts with the introduction of the Swan 55 and the Swan 65. These models offered owners all the joys of cruising combined with the opportunity for racing success – most poignantly, this included Swan 65 Sayula II’s victory in the first ever Whitbread Round the World Race in 1973/74. Between 1978 and 1981, another very well-known yacht designer, Ron Holland, started his collaboration with Nautor’s Swan. Holland designed five boats of which approximately 300 units were produced, including the well-known Swan 37, Swan 39 and Swan 42. During the 1980s, Nautor’s Swan entered a new era with the appointment of German Frers as designer, who has since been responsible for the design of all Swan yachts, maintaining that vital balance of competent racers, comfort and beauty in their design. 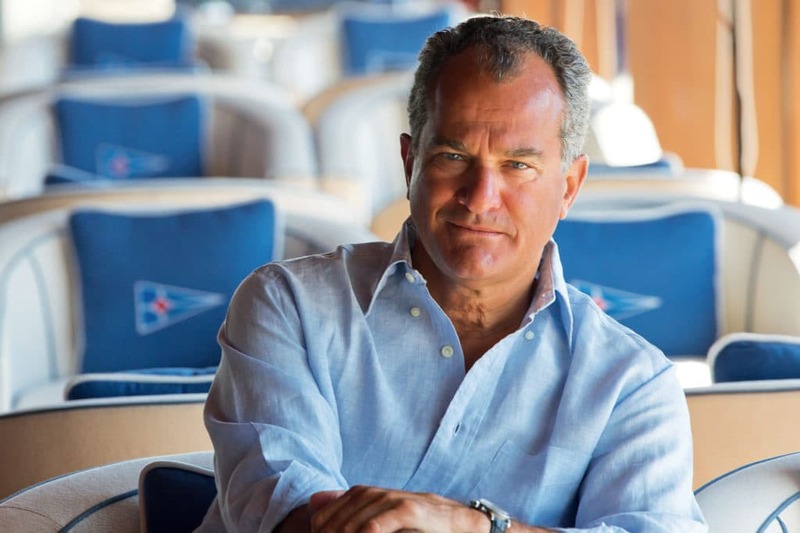 Over 700 yachts have been produced on Frers’ designs, including his first Swan, the Swan 51 in 1981, which was then followed by further great successes such as: the Swan 46 I and II between 1983 and 1997; the Swan 53 in 1986; the Swan 44 in 1985; the new Swan 36 in 1988; the Swan 48 in 1995; the Maxi models represented in the current SwanLine including the Swan 60, Swan 66, Swan 80, Swan 90, Swan 100, Swan 105, Swan 110 and Swan 115. In 2006, to commemorate Nautor’s 40th anniversary, Frers designed the Swan 66, a model that is the quintessence of everything that Swan stands for. The Swan 66 was conceived using forty years’ worth of knowledge in premium yacht building and cutting edge technology. The contribution of Frers also permitted Nautor’s Swan to enter in the ‘one design’ racing yacht segment with the design of the Swan 45 in 2001, followed by the Club Swan 42 in 2005. developed in association with the prestigious New York Yacht Club to encourage the return to traditional Corinthian sailing competitions and finally the Gazprom Swan 60 Class founded in 2012. Since 1998 Leonardo Ferragamo and a group of investors have controlled and managed Nautor’s Swan. This management has evolved the brand by continuing to push forward a whirlwind of innovations and changes that firmly place the Swan yachts at the forefront of the international sailing world. ‘I have always had a particular fondness for Swan yachts and for the extraordinary Finnish craftsmanship. A Swan sailing craft represents a guarantee of timeless excellence, epitomizing a perfect union of style, comfort and performance. I became a Nautor’s Swan shareholder fully aware of the enormous responsibility towards the iconic brand – and with every intention of contributing devotedly to its growth and development,’ says Leonardo Ferragamo. In September 2015, Nautor’s’ Swan presented the first Swan 115 S at the Monaco Yacht Show. The Swan 115 is the flagship of the new generation of maxi yachts built by Nautor, which includes the Swan 95 and has a Swan 140 on the drawing board. At the end of September 2015, Nautor’s Swan reached another milestone, unveiling the new ClubSwan 50 designed by Juan Kouyoumdjian. This is a high-tech, aesthetically captivating one-design yacht, that appeals to the young and competitive, while still allowing the pleasure of cruising in the true spirit of Swan. The ClubSwan 50 is a professionally managed owner-driver class, with a global racing circuit. Nautor’s Swan has valuable and unmatched experience in designing and managing one-design fleets, having launched the Swan 45, followed by the successful Club Swan 42, Swan 601 and Swan 60. With the ClubSwan 50, Nautor’s Swan officially begun the celebrations for its 50th anniversary. At the beginning of 2016 Nautor’s Swan presented the latest generation of Swan true blue water concept: the Swan 78. Meanwhile, July 2016 has seen the launch of the new Swan 54, a pure bluewater cruiser, while at the recent Düsseldorf boat show, the yard together with German Frers presented drawings for brand new Swan 65. Today, Nautor’s Swan with 51 years of heritage, is a leader in the luxury sailing yacht market. It is globally recognised as the producer of exquisitely crafted yachts, capable of offering the perfect balance of style and performance. Swans are renowned as the most elegant and safest sailing yachts in the world. The value of Swan is in the heritage, craftsmanship, excellence and expertise, from the design process to the production, from the top quality materials to the technological innovations, from the comfort to the safety of all the yachts. That said, being the Swan owner simply means excellence, a membership into the special club of sailing enthusiasts and high society under sails.